No matter where your company operates or how large it is, having a Disaster Recovery Plan (DRP) and Business Continuity Plan (BCP) is an essential component of maintaining and growing a successful business. Disaster recovery (DR) is the process, policies and procedures related to preparing for recovery or continuation of technology infrastructure critical to an organization after a natural or human-induced disaster. DR is a subset of business continuity. A disaster of either category can prove devastating if your company has not prepared a contingency plan for continued operations in the face of such crises. According to the US Department of Labor over 60% of small businesses close within 2 years of a major disaster. 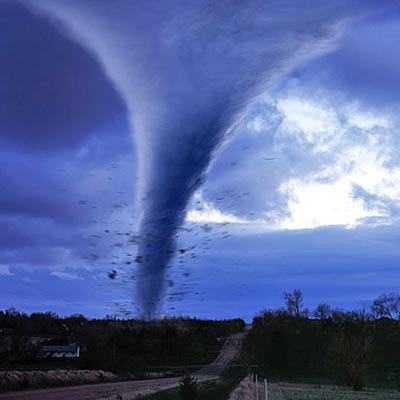 Current news events show just how catastrophi c a natural disaster can be upon an entire nation, or even the entire world, and corporate managers must think about protecting their business in the wake of disaster. Just as people must have emergency plans in order to protect their family, companies must do the same in order to maintain business continuity. With the reliance of businesses on IT infrastructure and staff to run everyday operations, it has become critical for organizations to create both a DR and a BC plan. A Business Continuity Plan (BCP) includes the strategy and planning for personnel, facilities, communications and reputation protection. The key to disaster preparedness and business continuity entails preservation of and access to mission-critical information in order to minimize business disruption. Online document management software, also referred to as online enterprise content management, can help your organization achieve this objective. Online document management software will store and protect each department’s mission-critical information, DR and BC plans, not only for when an event occurs but during the creation, collaboration, versioning, review and final approval of these documents. 1) Secure offsite information storage and retrieval via servers located in protected data facilities easily accessible from anywhere in the world via the internet. 2) 24/7 operations providing uninterrupted data availability around the clock. 3) Automated back-ups removing the burden or reliance on IT resources. 4) Process and security controls which guarantee your information is safe and readily accessible while your company recovers. To learn more about how online document management can give your business added peace of mind, please visit DocuVantage and sign up for our Four Steps to On Demand Document Management.